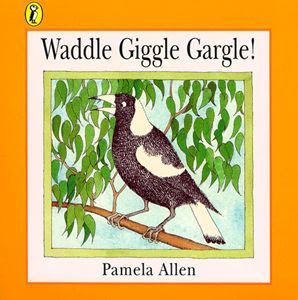 Pamela Allen is one of Australia's finest author/illustrators for young readers. I say Australian but she is actually a Kiwi who has lived in Australia for over 30 years. 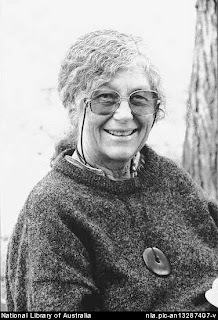 She has published over forty picture books since her first, Mr Archimedes' Bath, was published in 1980. Her recipe is a combination of strong characters caught in humorous life situations, with simple illustrations that young children find captivating. One of the great advantages of the author/illustrator is that they can apply both the craft of writing and illustrating in harmony. The good picture book has unity of word and illustration. The illustrations should contribute to the emerging story, not simply mirror it. Pamela Allen is a master at this and uses every device at her disposal to execute it with rare distinction. Meg Sorenson (Australian Book Review) writes: "The characters in these books exude life, caught at the highest point of action, and animated forever on the page. Every curve, stretch and twist communicates exactly the way they feel, the sentiment or momentum each embodies." The sheer variety of ways she is able to tell an amusing story is remarkable. And each book teaches children about language and their world. In Mr Archimedes' Bath (1980) she introduces children to the scientific principle that a body or object will displace water in the bath. In Grandpa and Thomas (2003) children learn about the movement of tides and the consequence for sand castles. But she also delves into life's substantial human challenges like learning to share (Herbert & Harry, 1986) and the difference between reality and fantasy in Inside Mary Elizabeth's House (2000). All the while she is examining the richness of human emotions and relationships. Allen has won many awards as both an author and illustrator. 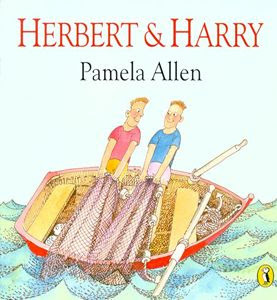 She is the only person to win the Australian CBC Picture Book of the Year award in two consecutive years (1983 & 1984), for Who Sank the Boat (1982) and Bertie and the Bear (1983). She has been shortlisted for the prize in five other years. She was also the 2004 winner of New Zealand's most prestigious award for children's literature, the Margaret Mahy Medal. In 2007 her book "Doodledum Dancing" (written by Meredith Costain) was an Honour Book in the Picture Book category. 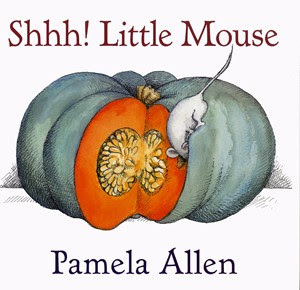 She is short listed yet again in 2008 for one of her latest books "SHHH! Little Mouse". For more information about Pamela Allen's books you might like to look at the Penguin website which has good sections for teachers and children. Parents are important to children's reading success because much of the groundwork occurs before children start formal schooling. Half an hour a day with a "skilled helper" is what a child needs to help them with reading. Men are examples for boys, and fathers who read are likely to have sons who read. It doesn't matter what a father reads as long as he reads for pleasure and demonstrates that this is a choice men make. Boys have some interests that are different from girls and we need to recognise this fact. Starting with books about sport or humour is a good place to start. But ultimately, the quality of the story is the most important thing, not the topic although books need to recognise the diverse range of interests of boys. While boy's might seem to have limited reading interests at first, no matter where boys start reading, ultimately quality will be what keeps them reading. 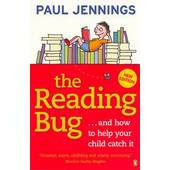 The ideas in Paul Jennings AGE article are based on his book for parents 'The Reading Bug'. Boys need a lot of help choosing books that they will not only like but which they will be able to read. Take the time to help your sons choose books, if they pick up a book with an exciting cover and find that they can't read it this will be a disincentive. It is helpful to read with your sons (certainly right through primary school) - a good way to do this is to read the first few pages aloud and then ask your son to read on. In this way you'll find that your son can read for longer and cope with harder books. Don't forget the importance of non-fiction - boys want to learn and non-fiction is often a good way in - books about sea creatures, space, sport, transport, technology of any kind. There is also a place for riddles, joke books, poetry and silly rhymes. Comics and magazines are also a good place to start - get them reading. Boys, because they are boys (and are different) will enjoy books more when they help them to discover, experiment, explore, learn new things, make them laugh, consider the curious or unusual, help them to play, see how things work, share trivia tricks and facts with other boys, explore the unknown, and generally do stuff! 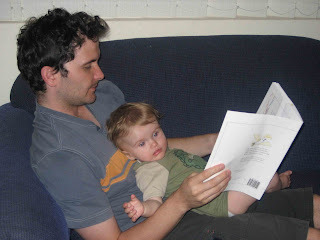 Motivating boys to read can be done by people other than fathers but what Jennings is saying, and what research from many disciplines supports, is that fathers have a special role to play in supporting their sons, motivating them and providing good models for them. Fathers have a significant impact on their children’s learning and behaviour. As my previous post on the subject of fathers indicated, the quality of the relationship between boys and their fathers matters. For the full text of the AGE article 'Boy Story' click here. For more information about Paul and his books click here. 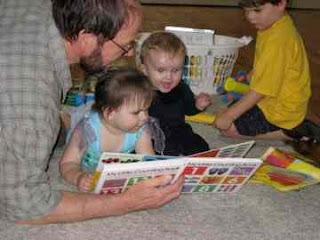 For information on 'The Reading Bug' (his book for parents) click here. 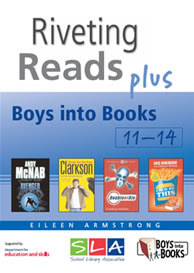 If you want a great list of books for 11-14 year old boys suggested by the School Library Association in the UK click here. You can download the entire publication for free with its list of 160 books with quick summaries organised by category (e.g. discover, play, spy, experiment, laugh etc). Every parent with a teenage boy should have a look at this resource. I plan to do another post later on motivating younger boys. 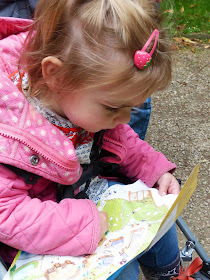 I have written previously on this blog about the importance of play for children (here and here) but I was reminded recently of the impact that structured games can have on learning. The journal "Child Development" recently reported on research conducted by Robert S. Siegler, a professor of cognitive psychology and Geetha B. Ramani, assistant professor of human development at the University of Maryland. They found that games can help preschool children learn mathematics, especially those from disadvantaged backgrounds. The article reminded me of the many benefits of games for learning as well as for literacy and language. 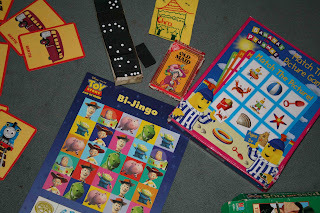 Schools have long used games in recognition that they can be a beneficial way to learn many things, especially for young children and those with learning difficulties. providing foundational knowledge for other more complex learning. a) You can choose basic sight words (i.e. words like 'were', 'said', 'there' - that is, words that can't easily be sounded out and are more easily recognised as whole words based on their shape and some partial letter clues. There are a number of these lists available such as the Dolch List that has been in use since 1948. Write the words in print at least 2 cm high and then write a number between 1 and 6 on the top right-hand corner (in much smaller print). You can use existing games like snakes and ladders, but instead of using the dice you have a pile of cards face down that players turn over one at a time and read. If successful, they move a counter the appropriate number of squares to progress the game. b) Do the same as the above but use sound cards as appropriate for the child's age. c) Use phrase cards instead of single word cards. 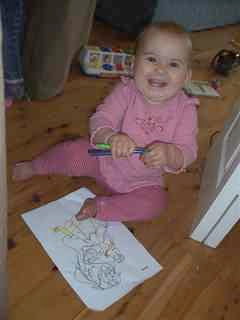 d) Use colour or number words. As a teacher I often used games with children who were struggling with reading. In fact one of the things we did for struggling readers was to create our own simple board games that had a theme that matched the interests of the child (e.g. car racing, football, space, dinosaurs, cartoon characters, super heroes etc). While there are some electronic games that attempt to use repetition and over-learning in similar ways, many of the other general benefits of games seem to be achieved more readily with board games. Basic Literacy Support 3: Is Phonics all we need? As a parent, one could be forgiven for being confused about the best way to teach young children to read. I've been studying early reading for 35+ years and while we've managed to learn lots of things about literacy and language from research, few new understandings have been gained about the best methods to teach literacy. Good teachers have always known what is required. Public debate tends to make pretty simple stuff complicated. The debate seems to end up being distilled into two major competing claims - it's either about phonics (decoding words) or whole language (reading 'real' stories). One approach stresses the learning of reading from part to whole (first learn sounds, then words then read longer texts). The other (often referred to as Whole Language) stresses the need for children to encounter language in the form of stories or non-fiction, and assumes that decoding and other language skills are learned as children read. Few teachers actually believe either of these extreme views, but much public debate is stimulated by a minority of teachers, academics, doctors, psychologists, businessmen, and parents who do. Stress what young readers need to experience if they are to learn to read successfully. Outline some basics about phonics. 1. What do young children need to experience to learn to read? * drawn their attention to print everywhere in their environment. Children who have experienced the above find reading easier when they get to school. Children who haven't experienced this will struggle in comparison. 2. How do I help my child to be better at decoding (phonics)? The ability to decode words is obviously a critical part of reading. How is this learned? Is there only one way? Decoding is what most people know as phonics - the ability to sound out words. Knowing that letters represent sounds and when put together that these make words. My website has a detailed overview of common approaches to phonics for teachers and interested parents, but below I've provide a basic overview on how to help your child. a) Teach some consonants (e.g. b, t, c, s, g, s, m, f, l) – try to make it fun. Use the letter name as well as the sound. “Look, that’s a ‘b’.” “Can you see the ‘r’ in Rebecca?”. b) Introduce the vowels (a, e, i, o, u) – while you can point to the vowels separately these are better introduced as part of words or in combination with consonants. “That says ‘u’ in mum”. “Let’s look for some ‘at’ words on this page”. “Let’s write some ‘at’ words together.” You might even sound out special words in stories. For example, in books that use sound words you should say them and point to them. “Mr McGee is saying OWWWW and OOOOO”. “Look, that says BANG”. c) Point out other print conventions – as your child begins to learn more about written language he/she will have lots of questions that you should try to answer. As well, you might point out punctuation, the difference between upper and lower case letters. You might label their drawings with words they give you to describe their creations. Read the words back to them and encourage them to likewise. 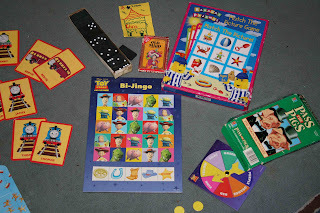 d) Play games that use words, sounds and numbers – Word BINGO and I Spy are simple examples but there are many commercial examples. Many games can make car trips seem shorter and act as a catalyst for families doing things togethers (including brothers and sisters). e) Other sounds and words – your child’s responsiveness to reading will determine how much more that you will need to do before school, but in the first two years of school most children should learn all the sounds commonly encountered in written language. If you want a more detailed and comprehensive overview you can visit my website for more information.